Welcome to the TangoLincs, Argentine Tango in Lincolnshire. This website was set up by Thomas Rasche in 2007, originally to facilitate information about Tango in Lincolnshire, UK. 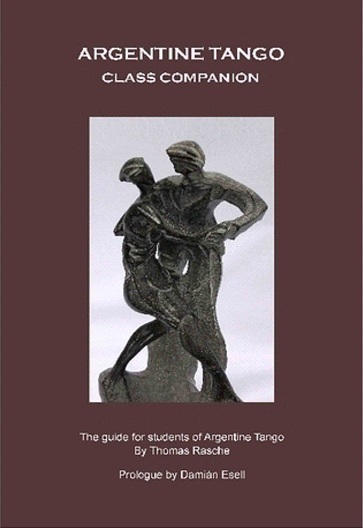 It has now grown to become a more useful web resource, covering a variety of other Argentine Tango topics, including notation, books, useful links and more (see the links above). It is our aim to promote the social dance of Argentine Tango and assist the community of Tangueros (Argentine Tango enthusiasts) with their learning and enjoyment of the dance. At TangoLincs, we understand and endeavour to protect your privacy. 2) Information that you provide to us. Information about website visits are used for statistical reasons only, to help improve the website’s usability and purpose. The information that you provide to us will only be used for the purposes of this website, and will not be sold, rented or given to third parties, nor will it be used for email marketing (spam). It will not be disclosed to others unless required to by law. TangoLincs functions together with partner websites to perform functions on our behalf. Any information they are provided with may not be used for any other purpose. These include purchasing through Lulu.com and Amazon websites for books, CDs, DVDs etc. as well as payments through Paypal.com. -Google may use information (not including your name, address, email address or telephone number) about your visits to this and other websites in order to provide advertisements about goods and services of interest to you. Google uses the DART cookie, which enables it to serve ads to you, based on your visit to this sites and other sites on the Internet. Please read the E-Group guidance notes in conjunction with these Terms and Conditions. You can also find information about joining (and un-subscribing) to the E-group there. Please note, that whilst care is taken that the contents of the website are correct, there is no warranty for its completeness or accuracy, nor is there commitment to ensuring that the website remains available or that the material on the website is kept up-to-date. TangoLincs cannot be held responsible for content of web pages owned and maintained by others. We will take reasonable precautions to protect data and ensure security. However, since the internet is an open system, we cannot warrant content to be virus free, we therefore recommend you take appropriate precautions. Any disputes arising, out of or in connection with these terms and conditions are governed by the laws of England and Wales. 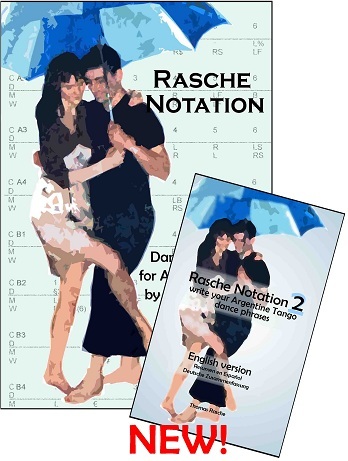 In addition to the above conditions (and terms of the applicable Creative Commons Licence), exceptions apply to the use of the Rasche Notation logo. If you have questions, or wish to register your use of the logo, please email Thomas at: thomastangolincs.co.uk (replace  with @ sign). 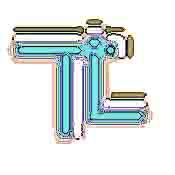 The Rasche Notation logo, shown below, is copyright, belonging to T. Rasche. This image may solely be used by third parties as a remotely sourced image on their website(s) which links to the RascheNotation.com page, for the purpose of assisting and/or promoting the notation of dance. Its appearance is not to be altered in any way. For information about how to include the logo, see Rasche Notation logo information. Entire contents of this website ©2009 T. Rasche. This website, and all the website pages, are licensed under a Creative Commons Licence. Users of this website may make copies of the content for personal use. The content may not be published, including on another website. TangoLincs and/or Thomas Rasche cannot be held responsible for content of web pages owned and maintained by others. By using the TangoLincs website (and all associated domains including www.RascheNotation.com and www.TangoLinks.co.uk), you consent to these Terms and Conditions in full. If you do not, please do not use our website. These conditions might change and be updated from time to time by TangoLincs. These Terms and Conditions were last updated 16th November 2011. TangoLincs was created and is maintained by T. Rasche. Thomas can be emailed at: thomastangolincs.co.uk (please replace  with the @ sign).